Two very different worlds collide in this hit manga series by Akiko Higashimura! Tsukimi Kurashita has a strange fascination with jellyfish. She's loved them from a young age and has carried that love with her to her new life in the big city of Tokyo. There, she resides in Amamizukan, a safe-haven for girl geeks - the last place she'd expect to meet a fashionable socialite! There's much more to this woman than her trendy clothes, though. Their odd encounter is only the beginning of a new and unexpected path for Tsukimi and her friends. One of Japan's most popular authors of manga for women, Akiko Higashimura has created more than a dozen series, including Kakukaku Shikajika and Mama's A Temparist. 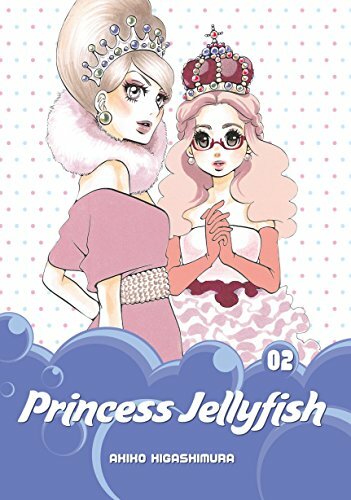 After its adaptation into a popular anime and live-action film, Princess Jellyfish is her first work to be released in English, making her one of the Japanese manga world's best-kept secrets.